There are days when I am desperate to find something new to prepare with what I have in the fridge and in my cupboards that goes beyond the usual vegetable tart, the fresh vegetables salad or the pasta with sauteed vegetables. And there are days when you find instantaneous inspiration, when ideas just flow naturally. Today was the former. But hopefully there is instagram and some of the people I follow gave me the perfect inspiration I needed to use these red lentils I had. So thanks a lot cearaskitchen for your post and the delicious idea! 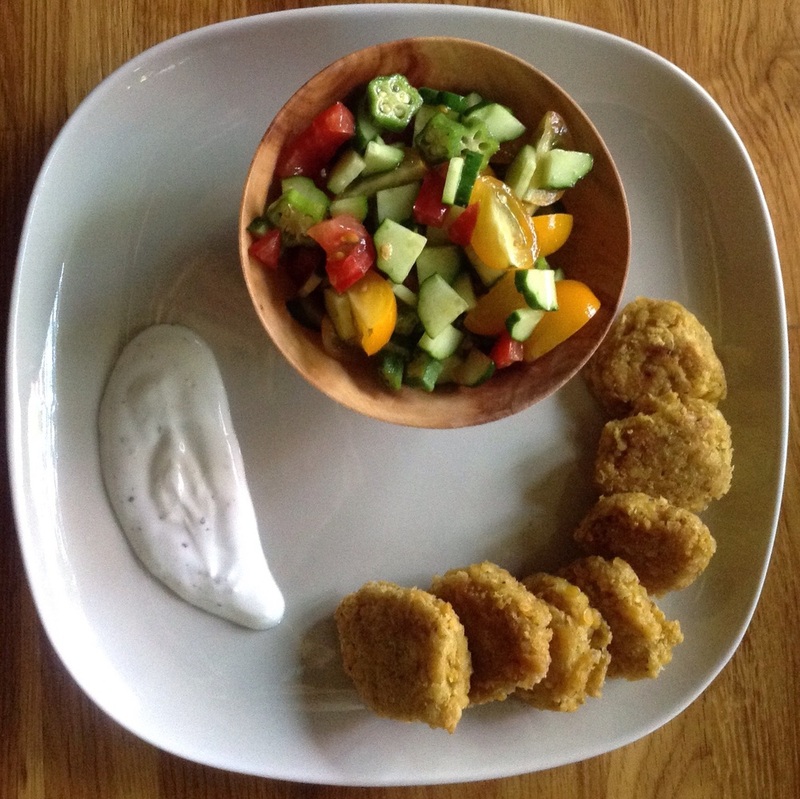 Of course I hate to follow recipes so I had to change it and adapt it to what I wanted to eat and it ended up with these delicious 99% red lentils patties, that I accompanied with a tomato-cucumber-ocra salad with no dressing and a little black pepper drip yogurt. For the patties I just boiled the red lentils then drained them, add a little curry powder, a little rice flour to form them and then baked them in a pan with a little of olive oil. So easy! Thanks again cearaskitchen!